I need to...improve insight, compliance, and security in my FedGov agency. Stop overspending on software. Get better asset visibility. Deliver a personalized, compliant desktop—anywhere. Your third-party apps are vulnerable. Get our patch plug-in for SCCM. Are you battling with stovepipe systems, monitoring multiple screens and unable to search for critical answers? Federal government agencies waste countless hours trying to pull together and cross-reference data from multiple enterprise toolsets. 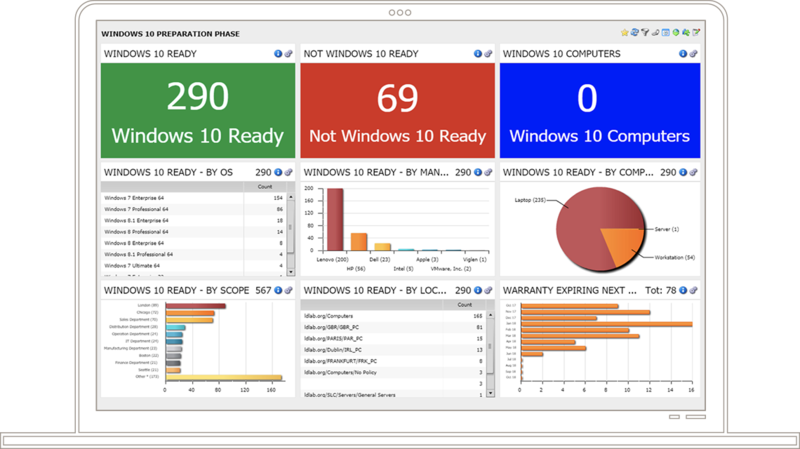 Xtraction delivers a real-time, consolidated dashboard of your enterprise data in minutes. You’ll save thousands of man hours, make command decisions, and respond immediately. While you’re at it? Mind all the gaps. We’ll say it again, because it’s that critical: know what you have, control what you have, secure what you have. Get the desktop management, security, and critical insights you require in your federal government agency. Different applications have in-built reporting interfaces. Manual consolidation takes time and introduces errors. Slow decisions based on flawed data impact lives. You need consolidated, real-time data in context. SCCM has its strengths. Keeping hackers off the main path into your network isn’t one of them. Government agencies are subject to rigorous standards. Your systems must have the latest patches and updates. Migration comes in many forms. Can one solution work for every scenario? Removing admin rights reduces risk and improves compliance, but users hate it—and they resist. Ever-changing complex licensing structures make getting and staying compliant tricky. It’s easy to overspend on software licenses when you lack the visibility to make informed choices. Solutions for even the most regulated environments. Ivanti is well positioned to help federal government agencies put the controls and functionality in place to meet standards they are held to, while empowering users to get their work done. Visibility to get the most from your assets. Unified workspace and privilege management. Patching for hundreds of third-party apps. Centralize, simplify, keep users happy, and bring all your data together. That’s Ivanti. Get fast access to information. Xtraction has dozens of connectors to Ivanti, DoD, and other agency tool sets like those from BMC, Cisco, Microsoft, and VMware. Update even difficult apps easily. Import, manage, sync, and deploy all critical patch information, using the familiar workflows and features of SCCM. Set up, secure, manage, and personalize any desktop across physical, virtual, or cloud platforms. 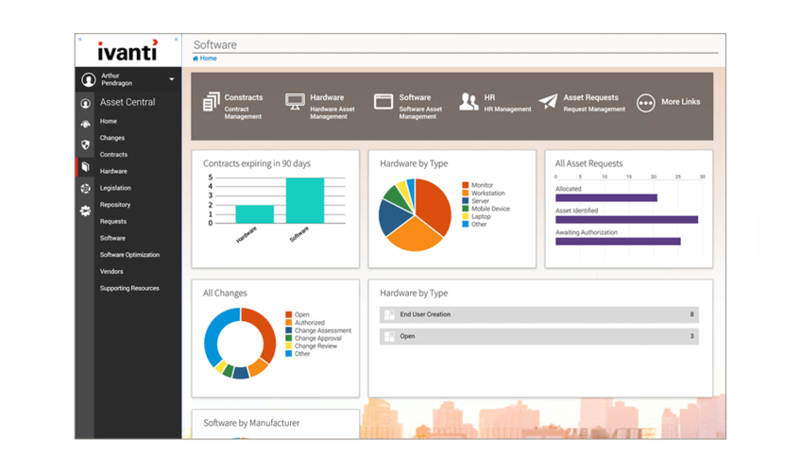 Reclaim unused software, meet compliance requirements, and save time with a centralized view of your assets. There’s no more guessing where you stand.